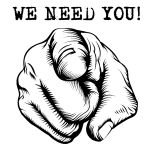 Due to the clash with the England/Sweden World Cup game the usual suspects stayed away from this year’s D Zero event and the fleet was much depleted from previous years. 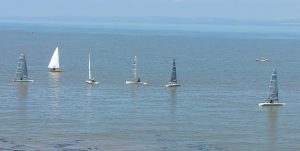 A shame because once the sea breeze established itself conditions by midday were ideal with a steady force 2 wind, brilliant sunshine and a neap tide. 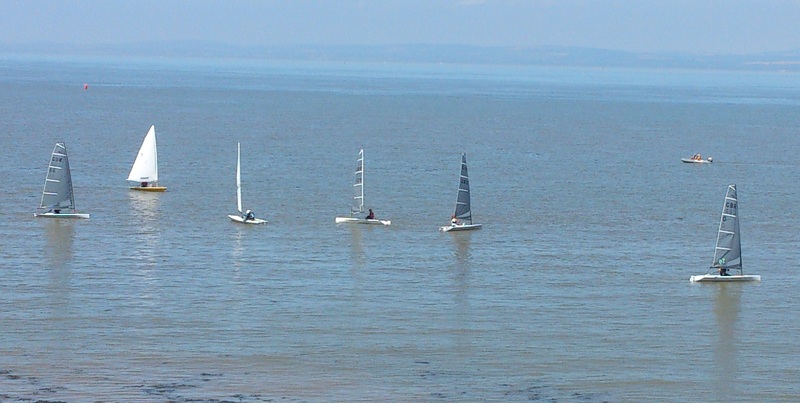 None the less visitors travelled from Emsworth and Porthpean to join the local sailors from Clevedon. 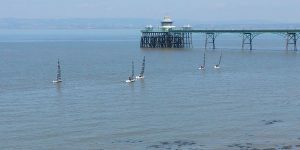 OOD Andy Black set an P style course in the bay, with a beat out to the first mark set off the end of Clevedon’s grade 1 listed Pier. 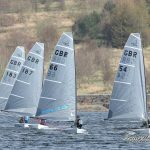 Race 1 for the D Zeros saw current local sailor Robin Goff get off the line well, followed closely by David Valentine Stacy Bray and Chris Cooper with Scott Derham bringing up the rear. Bray managed to pass Valentine on the run back to shore, but was unable to catch Goff who lead to the finish to take the first bullet. 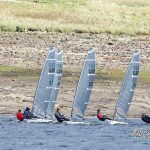 By the start of race two a sea breeze had started to develop with direction shifting round to the SW and increasing to a 3 gusting 4. The course was therefore changed to starboard triangle. Valentine and Goff got off to a great start followed by Bray and Derham, but by the time Valentine reached the windward mark, Bray showing superior boat speed had passed Goff, and continued to catch Valentine down the reach and run to take the lead by the start of the second beat, and remained unchallenged for the rest of the race. 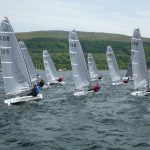 Race 3 saw local sailor Stuart Turner join the fleet in the HowWhatWhere Demo boat. At the start the out going tide pushed Valentine and Bray over the line early, who had to go back, leaving Turner and Goff to fight it out up the first beat. Turner got the better of Goff, but it was short lived as Bray and Valentine passed him and Goff down the run. The wind had decreased however at the start of lap 2, and local knowledge of the tide helped Goff get back in contention, who managed to pass Valentine on the final lap to take 2nd after Turner decided to retire to watch the football!! 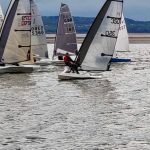 After 3 short races competitors were able to get ashore in time to view the World Cup match in the comfort of the clubhouse with presentations awarded at half time.